Gault was a Westport native and commercial artist, whose accounts included American Airlines, RCA, and Continental Can. He was also a painter known for his watercolors. 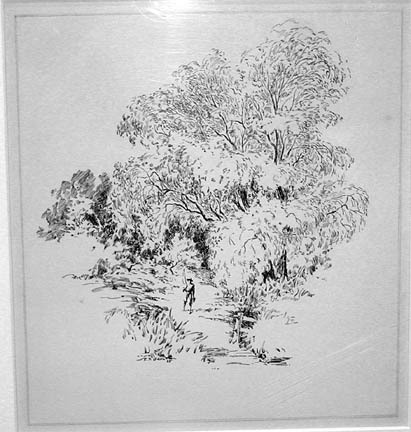 Gault, Robert, “Small Figure Under Tree [McManus Room caption says "Boy in Woods"],” Westport Public Schools Digital Collections, accessed April 24, 2019, https://collections.westportps.org/items/show/898.